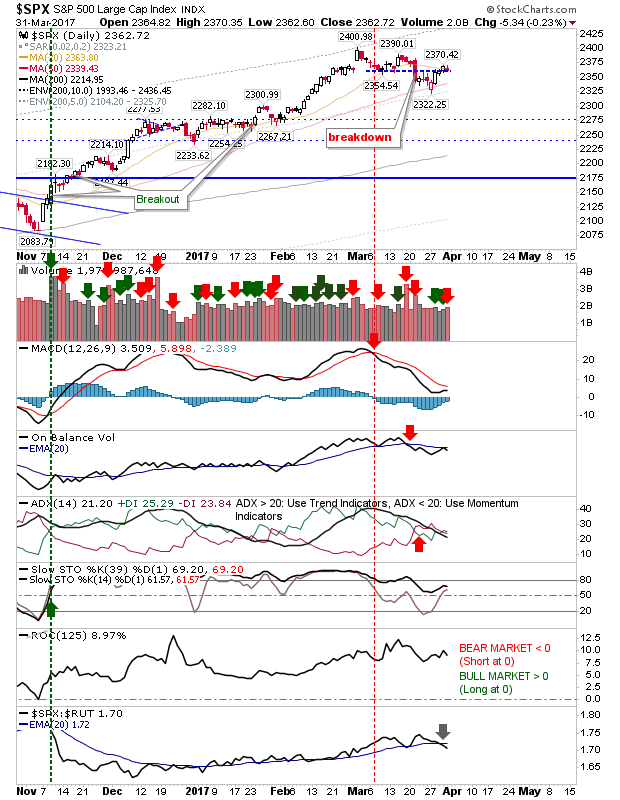 Friday was a bit of a non-event for indices as resistance remained a factor. 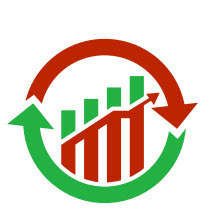 The intraday range was tight as volume rose in suggested churning. The S&P remained at resistance as relative performance again deteriorated from the negative switch earlier in the week. Bears can look to take an aggressive short with a stop above 2,371. It was the same story for the Nasdaq as it remained just below resistance. 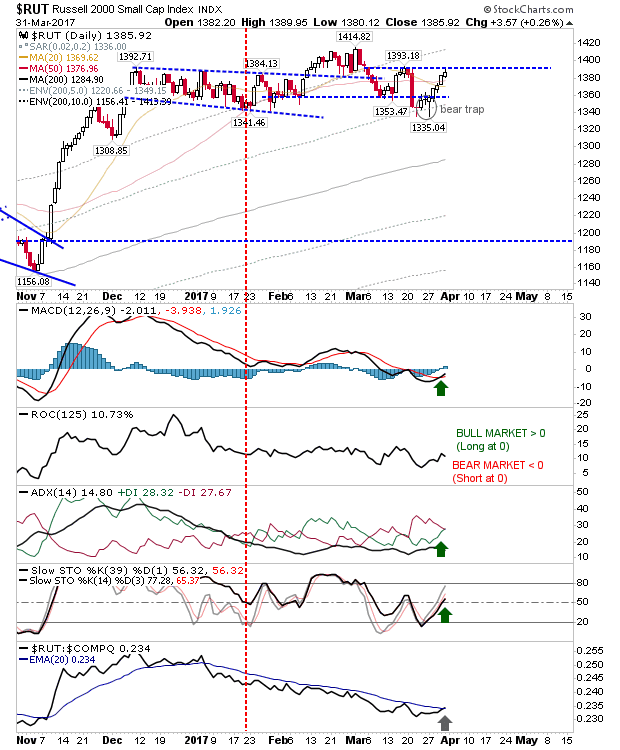 A break above 5,928 would likely coincide with a fresh MACD trigger 'buy'. The Russell 2000 is trading up against a lower level of resistance but has already triggered a MACD 'buy' which may be the kicker needed to break above 1,393. As an added bonus, the index enjoyed a relative performance 'buy' against the Nasdaq. 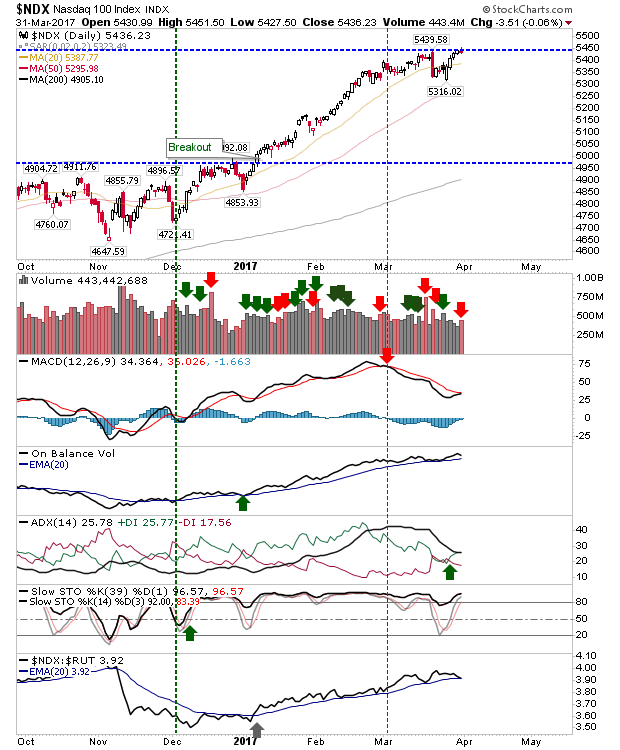 The Semiconductor Index had looked ready to head lower when it drifted outside of its rising channel, and posted a bearish 'black candlestick'; Friday's doji at resistance is another kicker, although stochastics are firmly bullish as is the ADX. 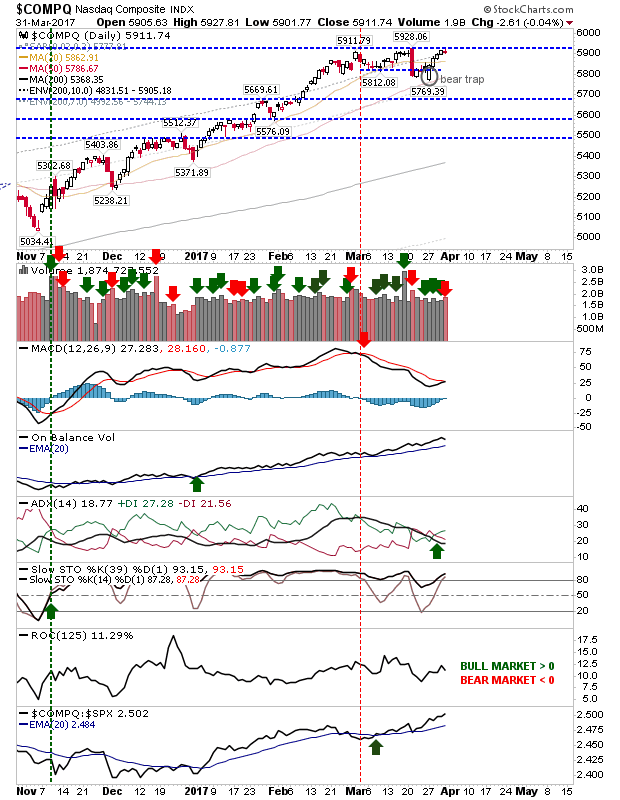 The MACD is neutral as the indicator has flat-lined in recent weeks. Just for added effect, the Nasdaq 100 is also knocking on the door of resistance. 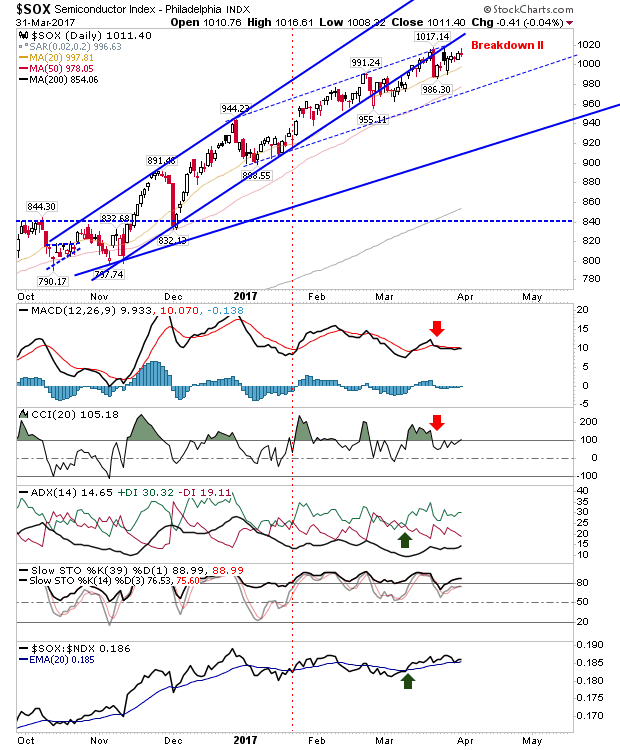 It too is on the verge of a MACD trigger 'buy' as other technicals remain healthy. Only the pending bearish cross in relative performance against the Russell 2000 suggests money cycling out of component stocks and into Small Cap equities. For tomorrow, track closely indices at resistance. The 'easy' option is to go short and place a stop just above marked resistance, but the risk of whipsaw will be high as it looks a little too easy to hold true; more prudent traders may want to fish for a short fill on a potential spike high (the spike generated from short stop hits) and look for weakness in the latter part of next week. Long traders may get the most joy from the Russell 2000. It looks to be finding a second wind but hasn't yet come close to challenging all-time highs.